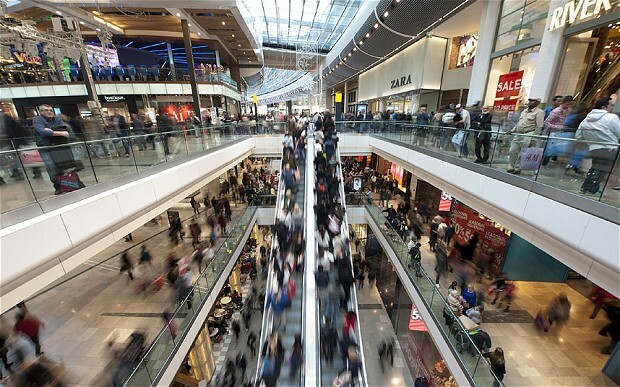 Can (and Should) Retail/Wi-Fi Analytics Help Retailers Survive in the Age of Amazon? Stratecast has published Jeff Cotrupe’s report The Human Bounce Rate: Can (and Should) Retail/Wi-Fi Analytics Help Retailers Survive in the Age of Amazon? The report analyzes crucial issues facing the retail industry, which contributes approximately $4 trillion to the economy in the U.S. alone. This massive industry faces sizable challenges including the struggling global economy; The Age of E-tailing (or more brand-specifically, The Age of Amazon); “showrooming,” which occurs when consumers shop for items at retail stores, where they can see, touch, and even try out items, then buy the identical items online at lower cost; and The Battleground in the Aisles, where consumers with mobile apps on their smartphones compare items for sale in the store where they are shopping, not only with Amazon and other e-tailers but also with other retailers within easy driving distance. “If retailers are to survive, they must find ways to engage with shoppers, or, at minimum, to better understand what shoppers want,” said Jeff Cotrupe, who leads the Big Data & Analytics (BDA) program for Stratecast | Frost & Sullivan. “A new Big Data-driven solution that offers specific, relevant insights retailers need is what we term Retail/Wi-Fi Analytics, or RWA.” RWA gathers data from the Media Access Control (MAC) addresses of mobile devices within a given area, applying location and other advanced analytics to the data to provide insights quite similar to those offered by online analytics systems. Arguably the most interesting metric, in Stratecast’s view, and one that inspired the title of the report, is whether a shopper spends enough time in a store to fit the retailer’s established profile of a likely buyer. If not, some RWA systems consider the shopper to have “bounced.” This is similar to online analytics platforms that consider a visitor who leaves a site too soon to be likely to make a conversion (such as a purchase, registering for an event, or requesting more information) to have bounced. Cotrupe terms the rate at which shoppers bounce The Human Bounce Rate. The report also deals with the issues of privacy that such shopper data collection raises. It discusses efforts underway in governing bodies, such as the U.S. Congress, and by consumer watchdog groups, to protect consumers from what may be unwanted intrusion into their personal (or at least shopping) space. The report, which carries Stratecast product code BDA 1-05, analyzes the differences in how data is collected by different RWA systems, and opt-out mechanisms that vendors and their retailer customers are adopting to stay ahead of regulators. The report also makes some pointed recommendations about how retailers should turn privacy negatives into revenue positives. This Stratecast report is designed to benefit a wide range of readers, including every retail or e-tail organization, and individual retailers of all types and sizes; every brand that sells through either the retail or e-tail channels; every brand that utilizes mobile technologies for sales and retention activity; and every company that plays a role, or could, in equipping retailers to better compete.